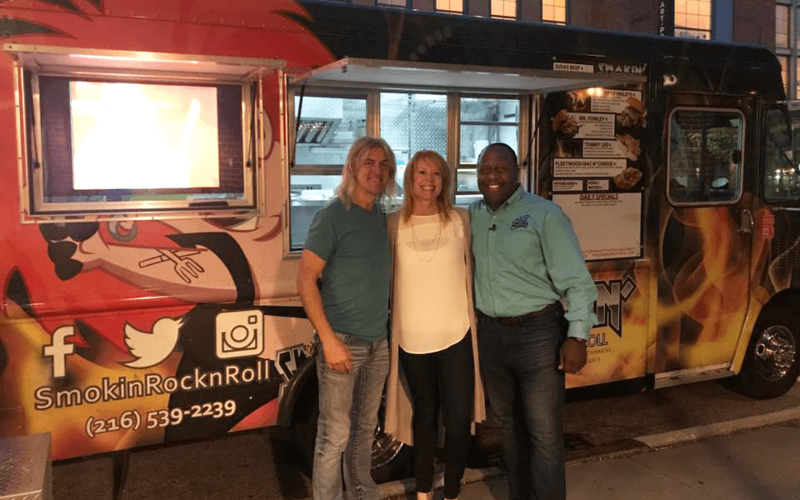 Bright and early this morning we ushered in October with our Fox 8 friend, Kenny Crumpton, who joined us at Crocker Park to preview a few of the fantastic food trucks that will be competing in the Food Truck Challenge this weekend. Starting this Saturday, October 6th at 11am, more than 20 food trucks (and counting) will line up along Main St. at Crocker Park to compete in a multitude of categories. The categories will range from best on a bun/wrap/plate, to best veggie, to fan favorite, to friendliest truck, to the coveted best overall, and much more. So be sure to do whatever you need to do to prepare your stomach for an afternoon of snacking your way through some of the very best food truck fare Cleveland has to offer! See you Saturday! Learn more about the event on the Crocker Park Facebook page by clicking here. Crocker Park features a mix of internationally known retailers, office buildings, premier dining options and luxury apartments and homes on 12 city blocks of Westlake, Ohio and employs over 7,500 people daily. Crocker Park is a part of the Stark Enterprises full-service real estate development portfolio. For more information visit www.crockerpark.com.